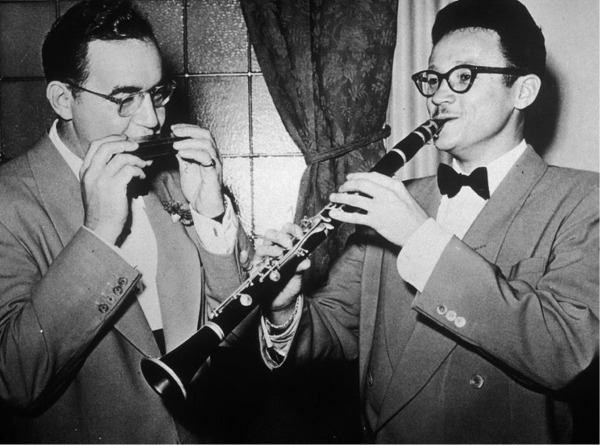 Mr. Thielemans, right, and Benny Goodman play each other’s instruments around 1948. 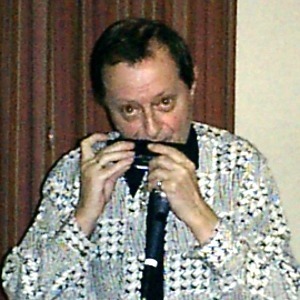 The death was confirmed by Mr. Thielemans’s agency, which did not specify a cause. 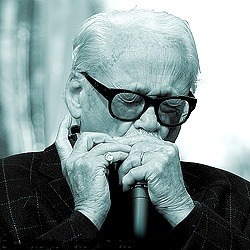 Mr. Thielemans, who retired in 2014 for health reasons, had been hospitalized recently with a broken arm.